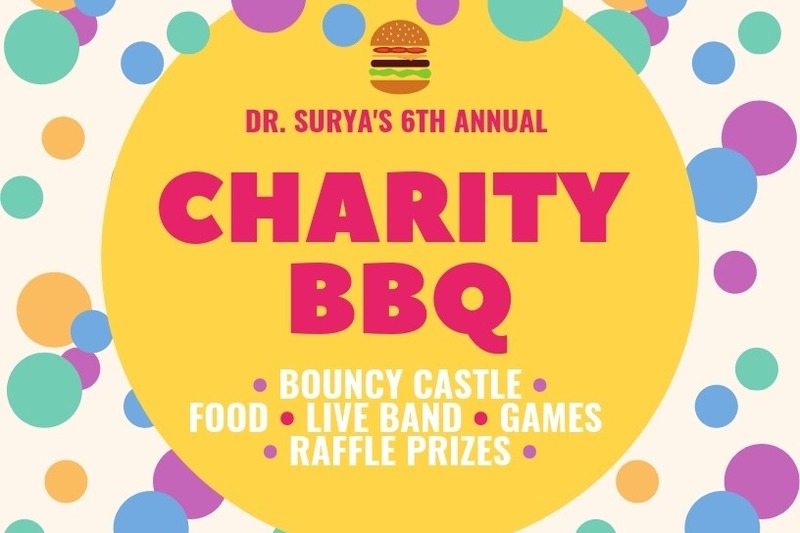 We would like to extend an invitation to join us on Saturday, June 22nd from 11:30 am to 3:00 pm in our front parking lot for our 6th Annual Charity BBQ! Admission to this FAMILY FRIENDLY event is FREE, and so is the food(including vegetarian options), sno-cones, face painting, a bouncy castle, live music, and fun! To help support us, you may purchase a 50/50 ticket, or raffle tickets for various incredible, high-value gift baskets and other prizes. If you can't make it out in person or would like to spread the word, please use this page to donate toward our grand total! Last year, with the help of several businesses and families in the community, we were able to exceed our goal of $12,000.00! This summer we will be contributing to the same three charities: The Carpenter Hospice, The Angel Project, and Shifra Homes. These charities are fundamental to the success of Burlington’s community, and contributing to their annual donation goal plays a big role in showing them how much we value everything they do. They have personally made a positive influence on the families and loved ones in our office and we want to show them just how much we appreciate their work. We look forward to seeing you on Saturday, June 22nd from 11:30 am to 3:00 pm!